Our next meeting will be on Monday, April 27, at the Rapides Westside Library in Alexandria. Time is 6:30pm. The public is invited. For this meeting, our speaker will be fellow club member Morris Houck. Morris is vice-president of the Lafayette Kayak Fishing Club (LKFC) and also with the Coastal Conservation Association (CCA) Cenla Chapter. Morris will talk on kayak fishing, as well as the following topics: the upcoming CCA STAR tournament (which was touched on last night), other CCA topics, and how to fish a CPR (catch-photo-release) tournament. KFF is considering a year-long CPR tournament similiar to what LKFC does. We'll also have fishing reports, tackle news and tips, and open Q&A discussion. Our next fly tying session will take place on Monday, April 20, at the Rapides Westside Library in Alexandria. Time is 6:30pm. The public is invited. The pattern this month will be the Beadhead Hares Ear - Rosborough Style. The original Hares Ear is one of the oldest flies known, attributed to 19th century English tier James Odgen, but likely many decades older. This version of the classic nymph was originated by Polly Rosborough, author of the book "The Fuzzy Nymphs". Rosborough was a proponent of flies that are suggestive in nature and which have a soft, buggy profile that displays motion even in still waters. It was from Rosborough that I began tying this fly. 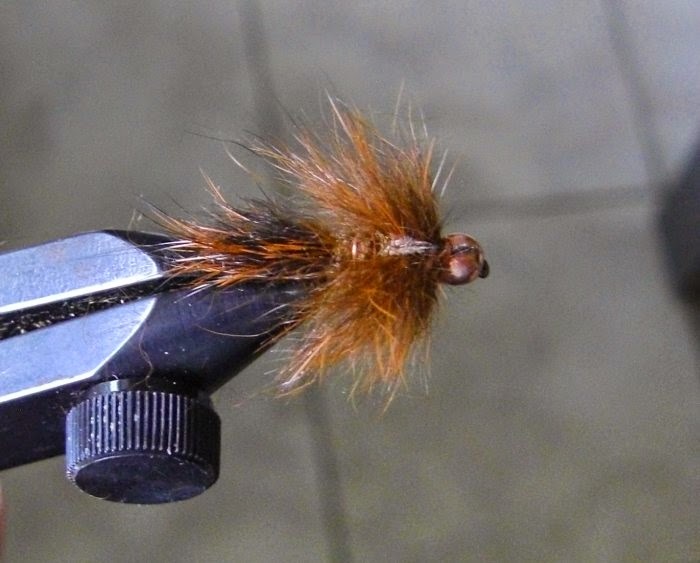 It proved to be a productive nymph on many trout streams and tailwaters. However, it was from my friend Hogy Notzel that I learned of it's effectiveness on redear sunfish (chiquapin). Today it's my most productive fly for this species and works almost equally well for bluegill. Tying the BHHERS involves a technique called a dubbing loop. We will first watch a video on this technique. Friday April 10th: Doors open at 5:00pm. There will be a Pot Luck Supper! Bring a dish that is enough for you and one other family. 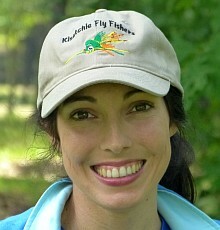 Saturday April 11th: Breakfast provided by the North Louisiana Fly Fishers at 8:00 a.m. There will be fly tying and seminars throughout the day. Lunch provided by the East Texas Fly Fishers. Bring your fly tying equipment and tie some demonstration flies of your choice. Also, bring your kayak and fish the slow shady bayou that glides through the State Park. The park and lake can be fished with either a LA or TX license. For more info, contact Mike Hawkins 903-736-1887 or Scott Irwin 318-742-2190.